The Swim Coaching Bible offers you an all-star, international cast of swimming experts sharing their knowledge on producing the most successful individual athletes and teams in the sport. This book is sure to be a classic--one that swimming coaches reach for again and again. 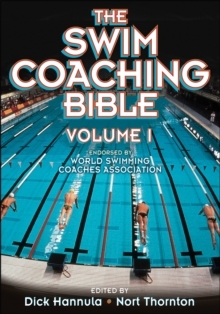 Specifically, The Swim Coaching Bible covers the key principles of coaching and program administration, conducting effective practice sessions, teaching techniques for every stroke, and training programs for every event. Endorsed by the World Swimming Coaches Association, the book shares the wisdom of the world's best coaches, who address the topics they know best. Contributors include: Richard Quick: Believing in BeliefJean Freeman: Putting Fun Into the Swimming ExperiencePeter Daland: Coaching With IntegrityJohn Leonard: Tailoring Your Approach to Specific Competition LevelsJack Bauerle: Administering and Marketing a Winning ProgramSkip Kenney: Developing a Successful TeamBill Sweetenham: Maximizing a Swimmer's Talent DevelopmentJill Sterkel: Long- and Short-Range PlanningBruce R.
Mason: Putting Science Into PracticeDeryk Snelling: Applying the Art of CoachingRick DeMont: Freestyle TechniqueDick Hannula: Backstroke TechniquePablo Morales: Butterfly TechniqueDavid Salo: BreaststrokeTechniqueJohn Trembley and Gary Fielder: Starts, Turns, and FinishesMichael Bottom: Freestyle Sprint TrainingDoug Frost: Freestyle Middle-Distance TrainingDick Jochums: Freestyle Distance TrainingEddie Reese: Backstroke and Butterfly Sprint TrainingBill Rose: Backstroke and Butterfly 200-Meter TrainingJon Urbanchek: Breaststroke TrainingDick Shoulberg: Individual Medley TrainingDavid Marsh: Relay TrainingRandy Reese: Power TrainingDon Gambril: Preparing to Excel in CompetitionThis is, without question, the most prolific and authoritative group ever assembled in a single swimming book. 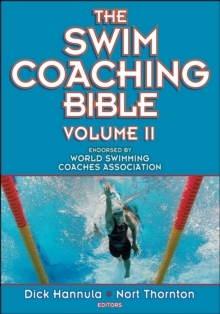 The Swim Coaching Bible is a book that will be treasured for many years to come.